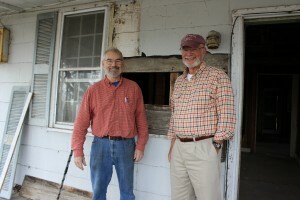 The rare survival of early 18th-century architecture in North Carolina attracts considerable attention from scholars and lay people interested in historic architecture, especially when a building or vestige of a structure from the period is discovered. 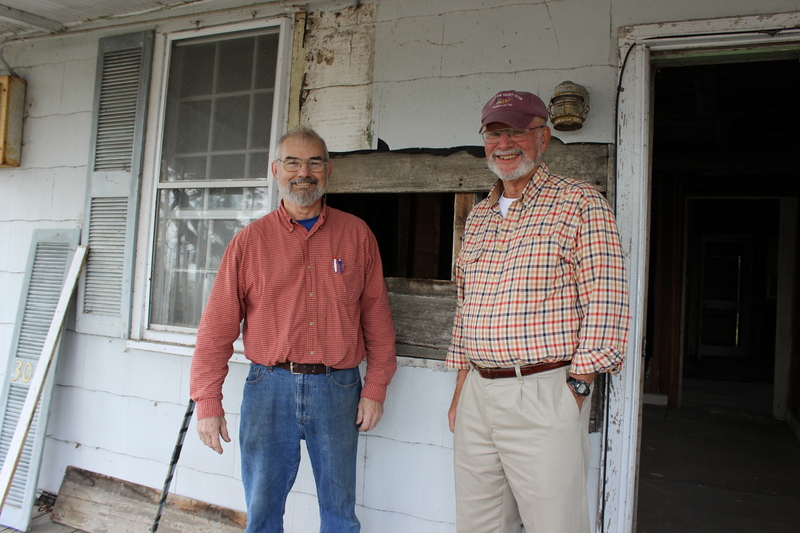 The discovery of a nearly three-hundred-year-old timber-frame structure offers a rare glimpse into an all but lost vernacular building type in North Carolina (Fig. 1). 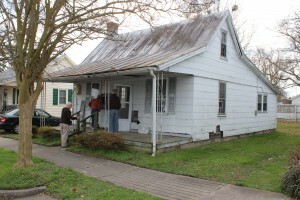 Shortly after 11:00 am on Friday, January 11, 2013, Steve Lane introduced Michael Worthington, dendrochronologist with Oxford Tree-Ring Laboratory, in a ceremony on the porch of the small house located on East Queen Street in Edenton (Figs. 2 & 3). 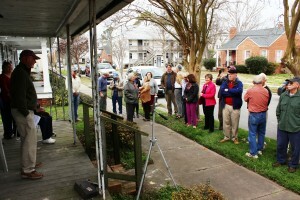 Mr. Worthington read the findings of his research on the house and made the exciting announcement that “the felling date for the primary timbers used in this building is Winter 1718/19.” Attendees learned that they were standing in front of the oldest dated house in North Carolina. 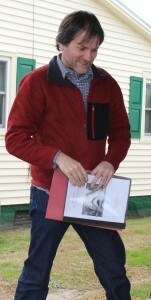 Figure 2, Holding his research report in hand, Dendrochronologist Michael Worthington is standing with a grin on his face just prior to the announcement. Dendrochronology is a technique that has been in use since the early twentieth century to date historic structures. This process is based on a scientific analysis of tree-ring growth patterns. Mr. Worthington’s website, www.dendrochronology.net, contains detailed information on this dating method and examples of many of his projects across the globe. Historic preservation and history enthusiasts Steve and Linda Lane of Edenton acquired this small one-and-a-half-story residence for use as a rental property in 2009. At the time, the Lanes thought the house dated to the turn of the twentieth century as it is listed as a contributing building in the expanded Edenton National Register Historic District with an assigned date of ca. 1900. 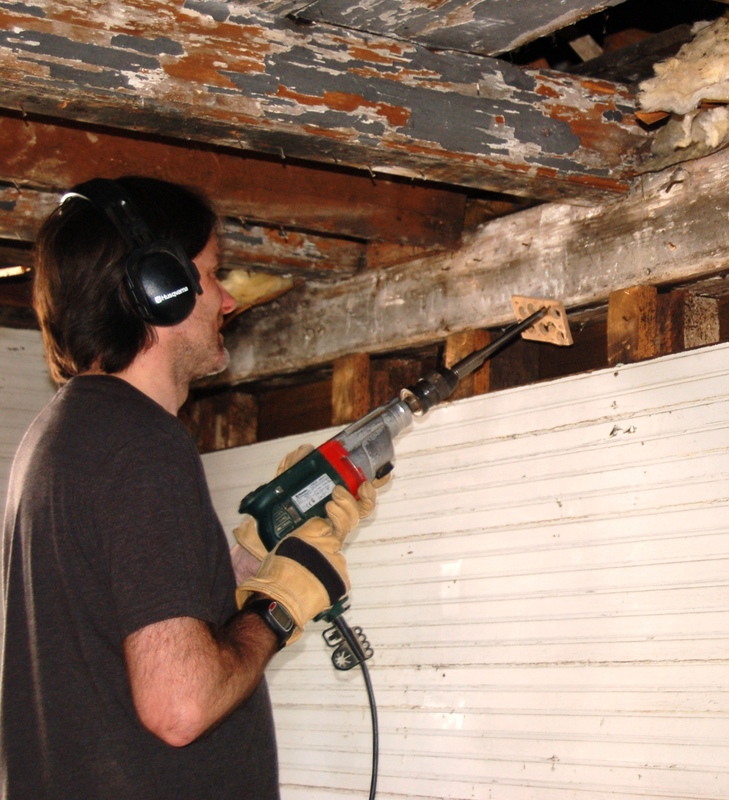 While removing deteriorated early 20th-century bead board wall paneling, restoration carpenter Wayne Griffin and expert cabinetmaker Don Jordan exposed timber framing members and the back side of weatherboarding that retains a heavy accumulation of whitewash (Fig. 4). 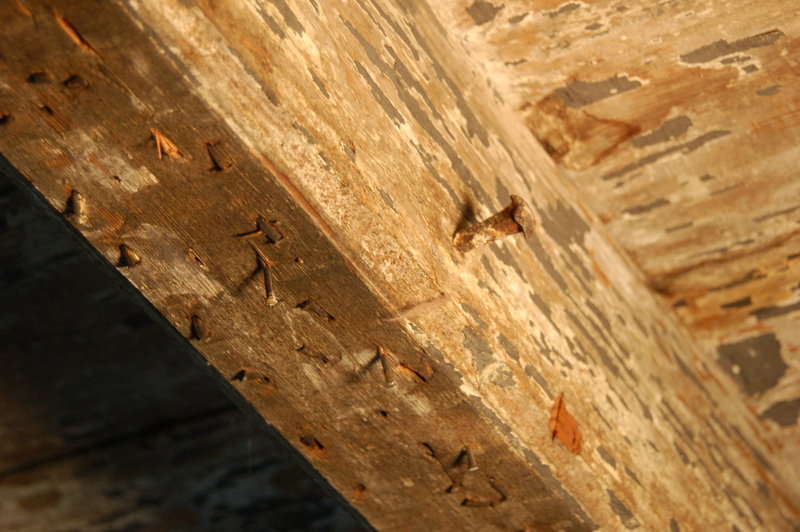 Upon further examination they learned that the ceiling joists were exposed, whitewashed, and molded at the base with a robust ogee, all indications of an eighteenth-century construction date (Fig. 5). 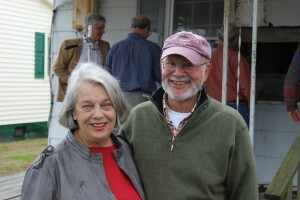 Steve and Linda Lane sought professional guidance from the Restoration Branch of the State Historic Preservation Office in order to learn more about this unique building. 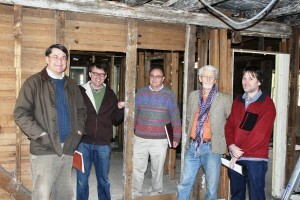 As a restoration specialist I assisted the Lanes in coordinating and leading three volunteer architectural study visits and prepared research questions and follow-up reports. 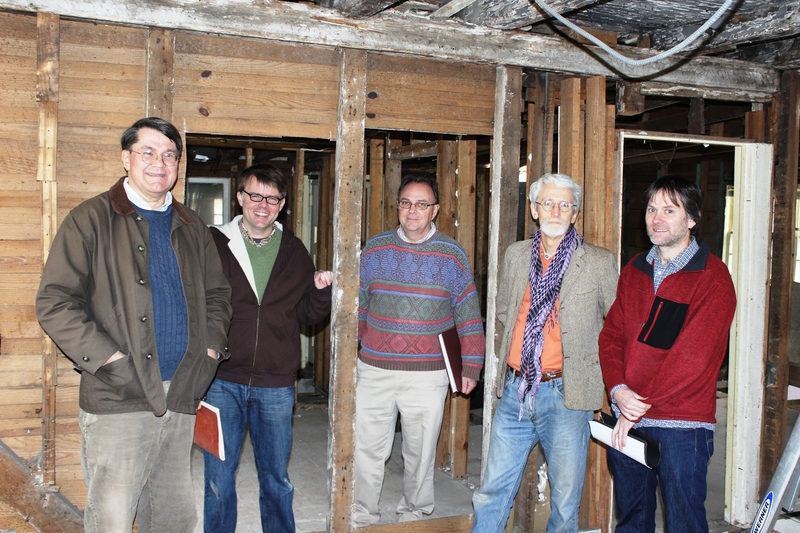 Architectural historians with the Architectural Research Department at Colonial Williamsburg, Historic Preservation Office staff, and local historians participated in the architectural investigations (Fig. 6). Realizing the potential importance of this house, the Lanes agreed that more of the original framing needed to be uncovered for examination. 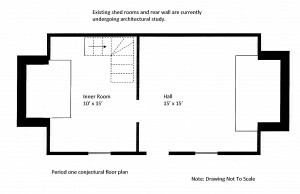 Don Jordan carefully removed 20th-century wall and ceiling paneling to expose the historic framing system for subsequent study visits. The volunteer research team has resolved quite a few architectural mysteries about this building. 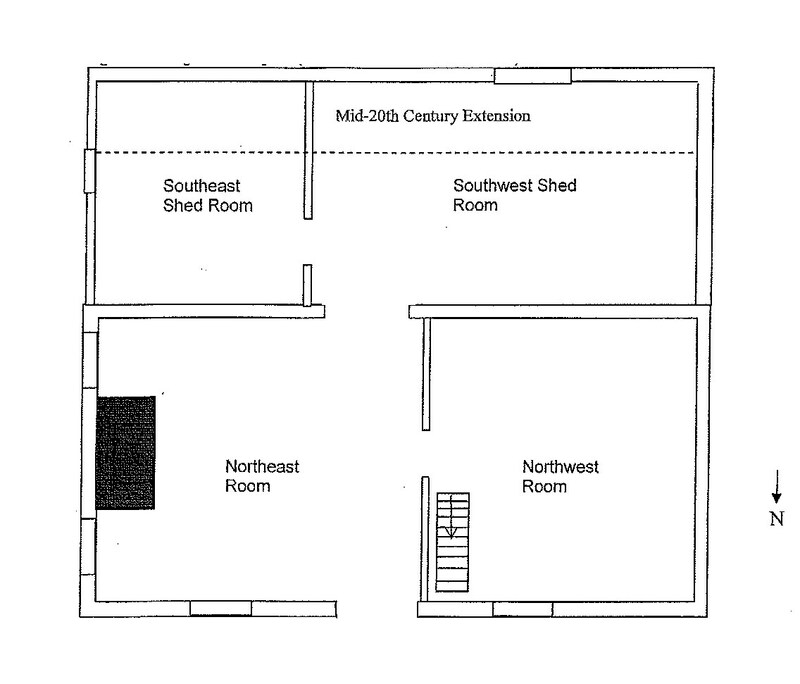 We now know that the house originally measured about 16’ x 25’ and was divided into two rooms on the first floor and two in the attic (Figs. 7 & 8). The original framing system in the first floor and attic was largely exposed and whitewashed and there were two large exterior end chimneys, one of them about nine feet wide. Many unanswered questions remain, however. 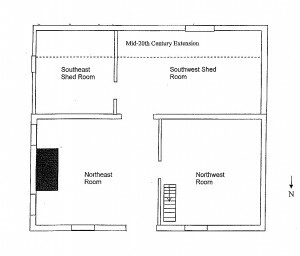 For example, what does evidence of two 18th-century stair locations indicate about changes in room use over time? And, was there a single or double shed room constructed with the house or were they added at a later time? The research team is currently evaluating these and other complex questions. Upcoming articles will follow as additional architectural, historical, and perhaps archaeological research is conducted. 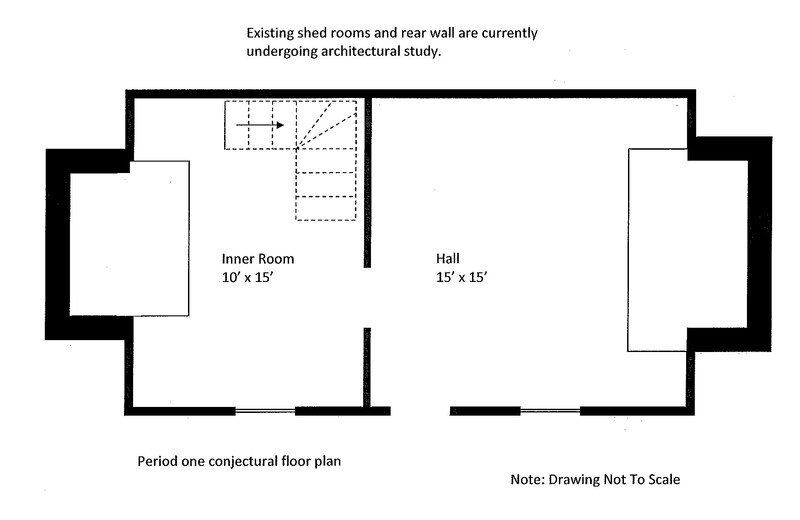 The Lanes have been most generous in their willingness to allow scholars to study the building and in their funding of the dendrochronology study (Fig. 9). Their sincere interest in not only preserving this rare surviving early building but also their curiosity in learning as much as they can about the architectural and historical importance it might have to our state is greatly appreciated. Without the Lanes’ interest, patience, and financial commitment to this project, this house might have been lost (Fig. 10).